It’s National Ice Cream Day! Check out these great deals you can score. *This is a nationwide list so some may not be in all areas. Carvel – buy one cup or cone, any size, and get a second one free. Cold Stone Creamery – buy one, get one free all day long for email club members. All you have to do is sign up for the emails at www.coldstonecreamery.com. Another deal the ice cream shop is offering is a free $10 gift card with the purchase of a $30 gift card. Dippin’ Dots – get a free mini cup of Dippin’ Dots at any participating store and shopping center location. Pet Smart – your dog can get a doggie ice cream at locations that have a Pets Hotel on both Saturday and Sunday, July 14 and 15. Sam’s Club – Free samples of the ICEE float are available at Sam’s Club from 11 a.m. to 6 p.m. on Sunday AND Monday. No membership is needed to sample the float, which is available at the Sam’s Club Cafe. Sub Zero Ice Cream, – you can stop in on Monday for $1 off regular ice creams from 5 to 8 p.m. at all locations. Your Pie – get free gelato on Sunday at participating restaurants. 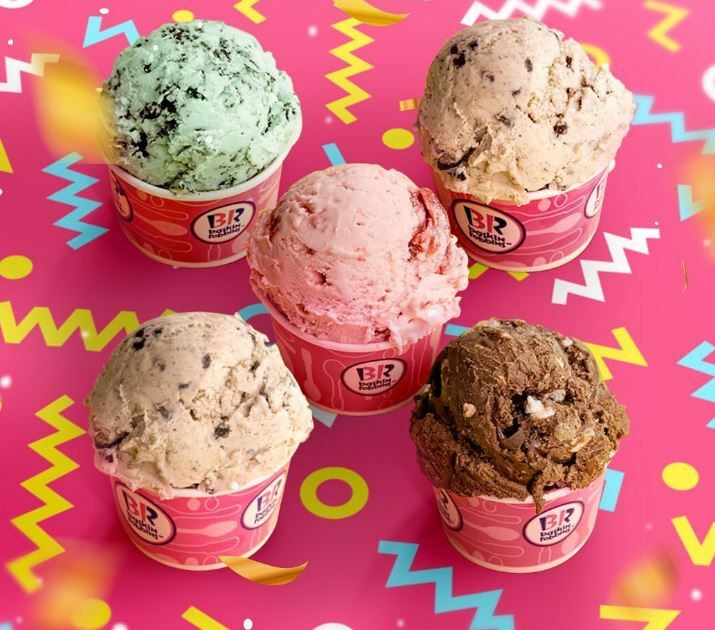 Yogurtland – you can get a buy one get one free deal from 1 to 6 p.m.
Marble Slab Creamery and MaggieMoos – receive a free kids cup or cone with the purchase of any regular or best value cup or cone through Thursday, July 19. Snow Monkey website, you can get 25 percent off sitewide on your favorite vegan ice cream on July 15 when you use the code “ISCREAM25” at checkout. Sub Zero nitrogen-infused ice cream – get $1 off regular ice creams from 5 p.m. to 8 p.m. on Monday, July 16, since some locations are closed on Sundays. Whole Foods – customers can get two pints of Ben & Jerry’s or Talenti gelato for $6. This deal includes both dairy and non-dairy pints. Amazon Prime members will be able to get an extra 10 percent off as well.